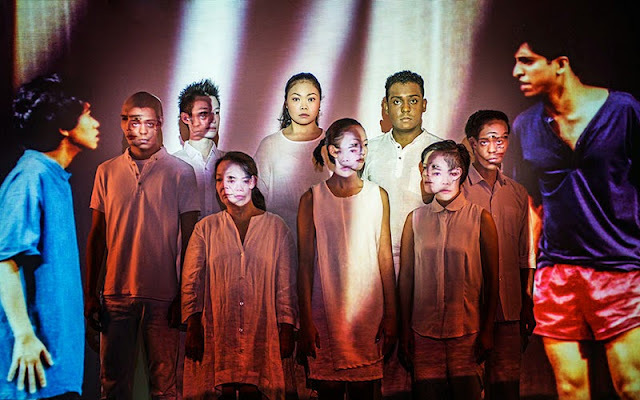 This is the third and final instalment of Drama Box's evocative It Won't be Too Long series as part of the Singapore International Festival of Arts. 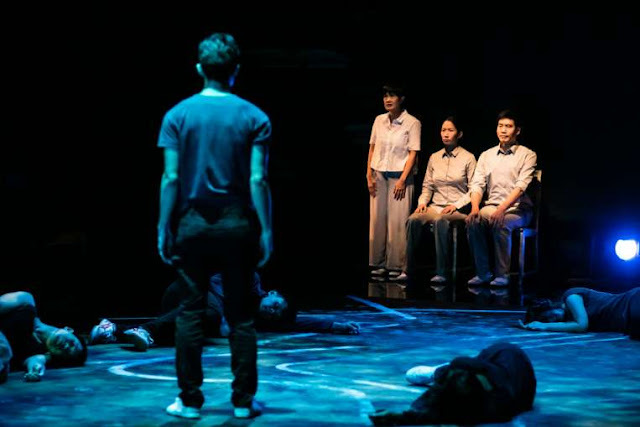 The trilogy explores concepts of space in modern Singapore and dramatizes the conflict between a pragmatic, capitalist society and the worlds of history and cultural identity. The first part, The Lesson, was a free, interactive performance that gave audiences the chance to vote on the location of a fictitious MRT station and which landmark or public space had to make way for this development. This complex issue of balancing out public and private concerns in the name of progress is fleshed out in The Cemetery which zooms in on the particular case study of Bukit Brown Cemetery that gripped our headlines a few years ago. There's no denying that the story of Bukit Brown has rich dramatic potential. This vast, expansive landmark — the largest Chinese cemetery outside China and a veritable green lung in the heart of Singapore — is to be bisected by a highway and will have large sections of its area redeveloped to make way for public housing. The remains of thousands of pioneering Chinese immigrants who are buried there will have to make way to for the pressures of an ever-expanding metropolis. The rich biodiversity of the area is also under threat due to the impending construction. 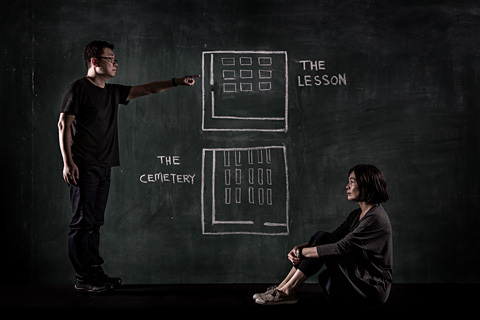 The Cemetery plays out in two distinct chapters: Dawn, a site-specific, wordless piece of physical theatre in the lush environs of Bukit Brown itself and Dusk, a piece of verbatim theatre delivered in a black-box venue. Dusk, the only part I managed to catch, is the more fully-realized of the two and effectively brings together the themes explored in all three instalments of the trilogy. Director Kok Heng Leun and playwright Jean Tay have crafted a powerful narrative from the voices of the people involved in the Bukit Brown saga, ranging from volunteer guides (Brownies), heritage activists, descendants of the individuals buried in the cemetery and even eccentric tomb keepers. These are pitted against Tan Chuan-Jin, former Minister of State for National Development and Manpower and the sole, monolithic face of governmental authority. 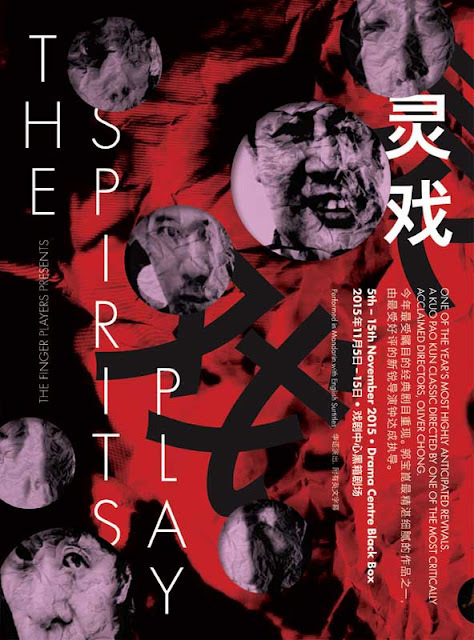 The multitude of characters are inhabited by Karen Tan, Timothy Nga and Jo Tan who turn in spirited performances and bring this poignant debate to life as they walk round the rectangular space, beautifully lit by Lim Woan Wen. Tay's ear for the rhythms and cadences of authentic Singapore dialogue - seen to delightful effect in plays such as Boom - allows us to instantly identify with these characters. It's a testament to the writing and dramaturgy of the piece that there is no clear black and white amongst the two camps: the pragmatic concerns of the authorities in forging ahead with the redevelopment are not without merit while the lack of unity and decisive action amongst the lobbyists prove somewhat disappointing. Newspaper clippings from the early decades of the twentieth century are alternated with media releases on the recent controversy, reminding us that this contested space, where the dead must make way for the living, is by no means a new issue. Nonetheless, one cannot shake off a sense of melancholy when the battle is ultimately lost and yet another vital slice of our cultural heritage is destined to be scraped away. Throughout the dialogue, an ensemble of six performers wordlessly enact the battle of Bukit Brown, their actions both a reaction to and echo of the words being uttered. They perform calisthenics, collapse on the floor and writhe and wrestle with their bodies. Over the course of the play, they trample all over the chalk-drawn markings on the floor which suggest the outline of the cemetery. 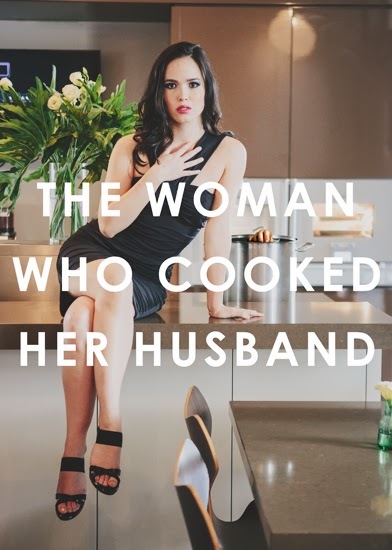 It's easy to dismiss this as being a slightly unnecessary physical flourish when the real words are all one needs to engage with this story. I later learnt that the ensemble performs the exact same movements in the Dawn segment, almost suggestive of the spirits of Bukit Brown coming to life from the surroundings and making communion with the world of the living. It's only when viewed for a second time, accompanied by the actual voices, that these abstract movements take on a richer hue. I still found the action slightly distracting at times but its overall aesthetic power is not lost on the audience. Dusk wraps up with a short, explosive number from local band The Observatory who boast a musical style that can best be summed up with the phrase 'wall of sound'. It's both an effective way of jolting us out of our reverie about the fate of Bukit Brown and a vindication of the real, vital soul that continues to thrive despite the attenuation of the physical space. With this series of performances, Drama Box have crafted a stirring and elegiac tribute to our shared national heritage, one which reminds us of the tremendous costs involved in our relentless march to modernity. Established in 2004, Crystalwords is an independent theatre blog by Naeem Kapadia. Naeem is a lawyer and lover of the arts and culture currently based in Singapore. He has dabbled in both acting and directing and has reviewed theatre for publications such as London student newspaper The Beaver, Singapore daily newspaper TODAY and online arts journals The Flying Inkpot and Arts Equator.